We’ve all been living a lie about one of the most iconic bastions of London life. Lotharios have used it as an assignation point with their mistresses since the early 1900s, millions of tourists over the years have arranged to meet friends on the steps before they explore the city, and thousands of bloggers have used it to rendezvous for afternoon tea. 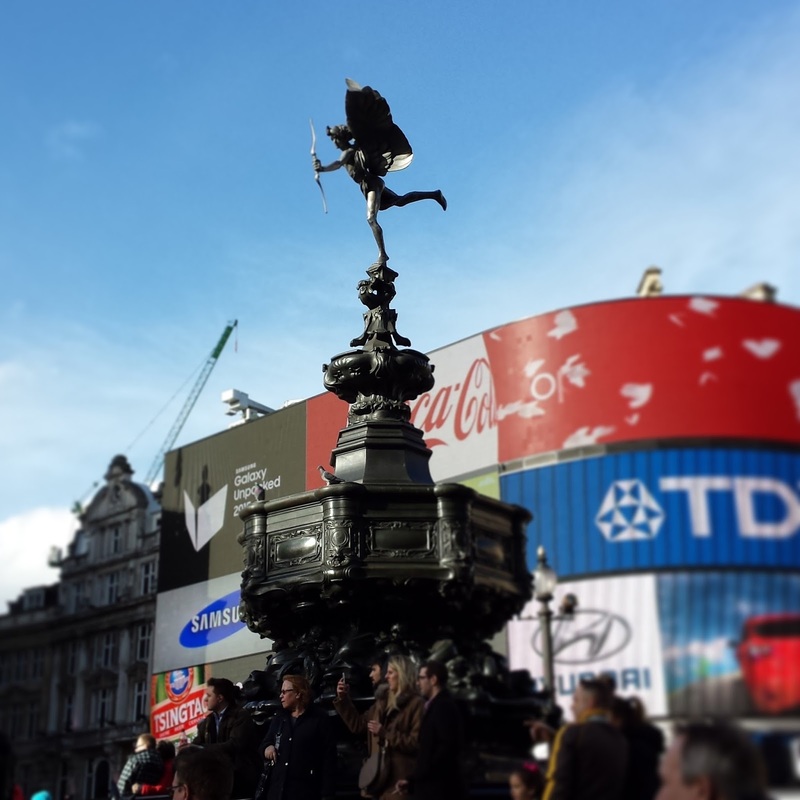 Eros, the boy statue armed with a bow and arrow, hovers protectively over the bustling heart of Picadilly Circus (or it was until city planners shifted slightly over to make way for traffic lanes to be added to) ready to sink his arrow into any miscreants up to mischief. Soaring a-top the bronze Shaftesbury Memorial Fountain, this nubile young god lies in wait for any passerbys and umpteen selfie stick situations. But we’ve all been living a lie. His name isn’t Eros or Cupid, the mischevious frivolous cherubic “tyrant of seductive love”, but Anteros (his twin brother), the “The God of Selfless Love” deemed to represent the philanthropic 7th Earl of Shaftesbury. With subsequent outcry once erected at the naked form sculpted by Alfred Gilbert and the general public thinking that the statue was of mischevious Eros (therefore considered an unfit memorial for the Earl) the statue was renamed the ‘Angel of Christian Charity’. Because that’s easier than Anteros. Apparently. pointing to the Earl’s country seat in Wimborne Saint Giles, Dorset. According to research however the statue originally pointed towards Lower Regent Street, towards the UK Parliament. London history – Covent Garden, arguments about St James’ Station and the legendary mangling of tube station names to name but a few.